Oftentimes, villains are the most intriguing characters, at least for me. Far too often, I find I prefer the villain over the hero. While considering this phenomenon, I found three traits I admire that heroes tend to lack, but villains show in abundance. The first and most important to me is intelligence. So many heroes win by brute-forcing their way through every obstacle, defeating the villains through physical strength and strength of character, but not through cunning, trickery, well-thought-out strategy, and the like. Of course, this does not apply to all heroes, but it is clearly a trend. Another admirable trait villains tend to possess is level-headedness and the ability to make good (well, at least rational) decisions under pressure. My favorite villains show an air of confidence until the very end. No matter how hurting or broken they are; they always put on a strong face and keep going, maintaining their calm and remaining brutally effective in the face of all opposition. Heroes, on the other hand, tend to break down. They fall apart, cry, and consider giving up. Of course, they get up and fight through it in the end, but on the way, they lash out at teammates, make rash decisions in the heat of the moment, and generally become their own worst enemies. Once again, this isn’t universal, but it does show up a lot. Finally, villains are evil. Really, who wouldn’t want to be able to be evil for a day? To put it simply: villains are cool. They get to do fun stuff that we can only dream of, and would never do even if we were given the chance. (Or shouldn’t do, anyway.) The sheer awesomeness factor alone would give anyone plenty of reason to like villains. 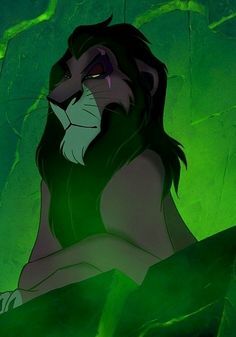 Although I refused to watch Lion King much when I was younger (due to how Mufasa’s death drew tears every time I saw it), Scar was always one of my favorite villains. He wasn’t as strong or noble as his brother, but he was certainly more cunning. He orchestrated a brilliant plan to get rid of his brother and nephew, leaving the throne open. Manipulating Simba into visiting the Elephant Graveyard was a clever move, and although his minions messed up their part, Scar’s insidious plots were not exhausted yet. 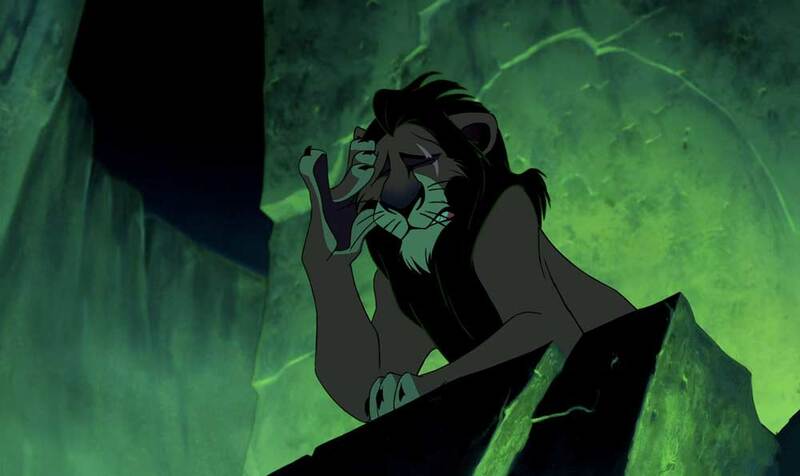 He tried again, setting up a wildebeest stampede to murder his brother, and once again, the hyenas failed to accomplish their mission, allowing Simba to escape. This ultimately led to Scar’s defeat, but not before he had ruled for a good long time. Of course, he was nowhere near as good at ruling as he was at plotting, but even so, he was a formidable opponent for Mufasa and Simba. The first superhero movie I ever got to watch was The Avengers, and I have to say, this was probably Loki’s worst movie. With too many characters to juggle (a total of eight important characters in two and a half hours), he just didn’t get as much character development as he needed. He got this development in Thor and Thor: The Dark World. 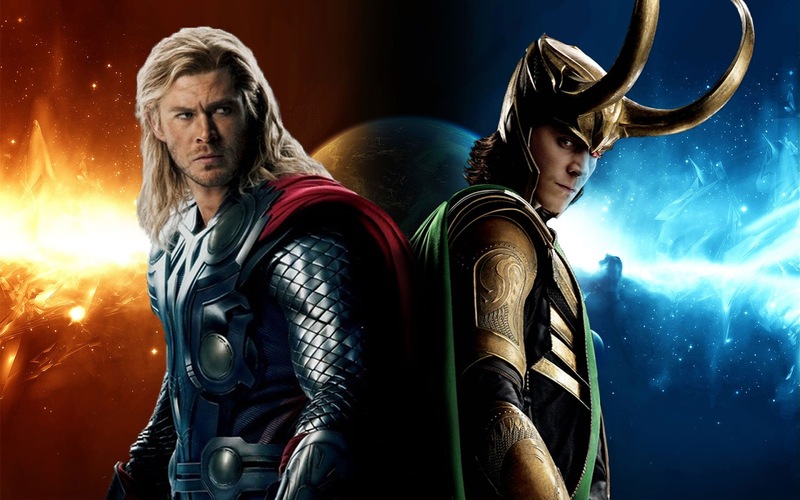 In Thor, we discovered his father’s blatant favoritism toward his brother, but more importantly, we saw exactly how manipulative and cunning Loki could be. Clearly, he was the driving force behind the majority of the movie, and, like Scar, he was able to “win,” for a little while at least. Unfortunately for him, Thor learned his lesson and returned to Asgard just in time to defeat Loki. After being imprisoned for his actions on Earth during The Avengers, Loki spent much of his time in prison, right up until Thor realized he needed Loki’s help in Thor: The Dark World. 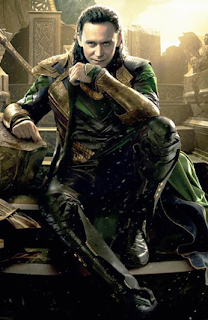 Loki brought humor and lightheartedness to the movie, and even though Thor anticipated some sort of trick, Loki was still able to manipulate the situation to his advantage. His sheer brilliance is what qualifies him as one of my very favorite villains. 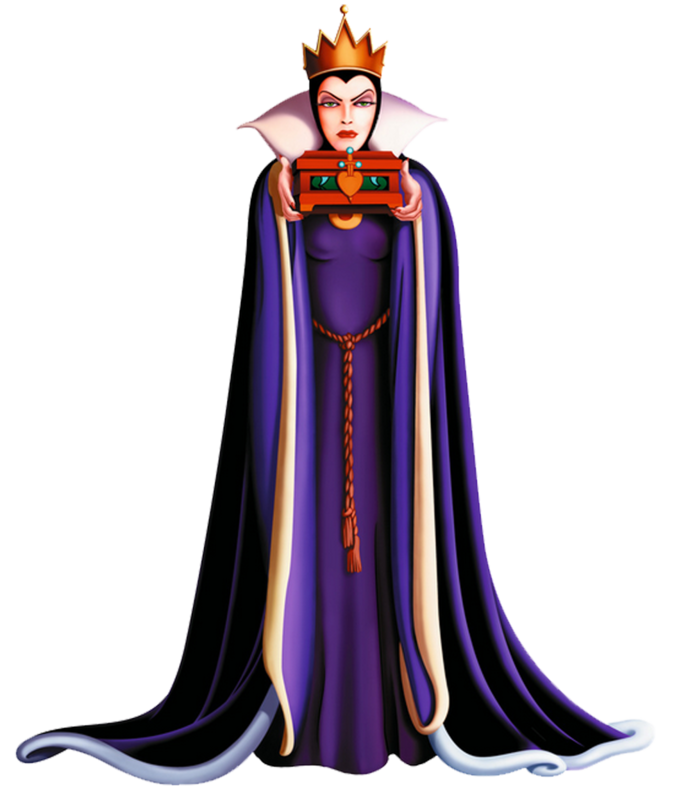 The Evil Queen from Disney’s Snow White has always been one of my very favorite villains, and when I first started watching Once Upon a Time, I was afraid this version of the Evil Queen wouldn’t live up to the original. I was absolutely wrong. 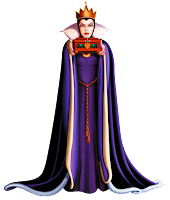 She started off as an unambiguously evil queen. She cast a dark curse on all of the fairy-tale inhabitants of the Enchanted Forest, sending them to a little town called Storybrooke in our world. There, she ruled as mayor with an iron fist, but as time went on, the cracks began to show. She might have been evil, but she had good reason to be. Even though she crossed from being a villain to being an anti-hero somewhere during seasons 3 and 4, she, unlike many villains who turn good, held on to what made her such an interesting character. She kept her pragmatism, down-to-earth common sense, and willingness to do whatever it took to accomplish her goals or protect her son. Like Scar and Loki, her intelligence and power give her a level of competence that makes her a fantastic villain. Some of my honorable mentions go to Darth Vader (Star Wars) for how intimidating and threatening he was (not to mention the Imperial March…), Morgan le Fay (Dragons in our Midst, Oracles of Fire) for her patience, manipulation, and magic, and Guy of Gisborne (BBC’s Robin Hood), for his relentless pursuit of Robin and his hilarious seriousness despite the lunacy of what was going on around him. Villains in fiction can be so much fun to watch and read about. Their evil ways are a perfect contrast to the noble heroes who struggle to defeat them, ultimately making the world a better place. This wraps up our 4-part “Top 3 Villains” series! Did you like these villains as well? Who were some of your favorites? Are there any "Top 3s" in particular that you would like to see next? We would love to hear your opinion! Thank you very much! It was so hard to pick my favorites, since I like so many. Intelligence is definitely my favorite trait in any character. I love your posts, Hannah, and how your voice comes out through your writing. I haven't seen Once Upon a Time, but it looks interesting. Loki is definitely at the top of my list for favorite villain. - Favorite magical/mythical creatures or races. I'm thinking of everything from dragons and griffons to hobbits and elves. - Favorite magical ability. Invisibility, mind control, breathing fire, a specific spell from the Harry Potter universe, etc. Although there are so many options it makes it rather difficult to choose! Just some ideas I'm throwing out there, though I'm sure you have plenty of great ideas already! Yes, villains usually do look really neat. Good ideas for future topics! Thank you! We will add them to the list. Fantastic choices and explanations, Hannah! I love these villains, especially Loki. I have never watched Once Upon a Time, and I have always loved the idea of it. Your description of the queen makes it sound very interesting! Once upon a Time is a good show, but it juggles lots of characters and story lines, so I would suggest you watch the whole thing in a pretty short amount of time. Thanks so much for reading! I loved the way you were able to weave concrete examples of "villainish" behavior into each of your choices. You were a bit intimidated by the Sea Witch in your younger days, but your fascination with the fun, the cunning, and the comedy these characters provide now travels to a much more sophisticated level! The hapless Road Runner cartoon has to be my favorite villain...is there a place for a commentary on characters who make you smile the most/have the best sense of humor? Love reading your work! It's interesting to see your analysis of villains..especially as they tend to also be complex characters. Many times they can even be more amusing and in some cases more interesting than the "hero". While the villains always seem to get their just rewards in the end..I think you have captured these complexities in your approach. Great work!